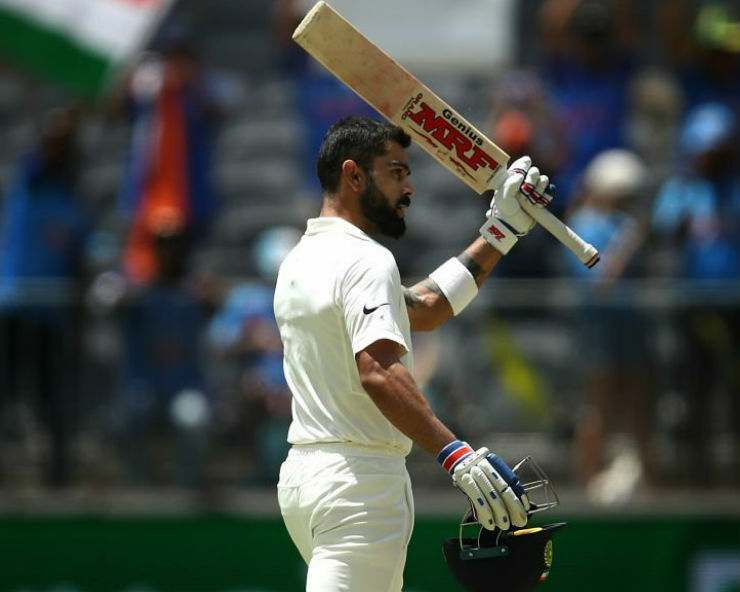 Perth: India bowled out for 283 runs in their first innings on day three in second Test being played here at the Optus Stadium on Sunday, giving Australia a of lead of 43 runs. After bowling Australia out for 326 runs on day two, Virat Kohli led from the front and helped India to score 326 runs. He (123 off 257) hit his 25th Test ton. At one point India were 8/2, but then Kohli helped India fightback from 8/2 to 172/3 at stumps on Saturday. Resuming on 172 for three, India lost Ajinkya Rahane (51) in the first over of the day with Nathon Lyon producing a superb delivery to get the outside edge of his bat. After his dismissal, Hanuma Vihari along with Skipper Kohli batted beautifully in the first hour of the morning session. The duo stitched together a 50 runs partnership for the fifth wicket, but Josh Hazelwood then dismissed Vihari for 20, putting the visitors in trouble. Kohli, then batted alongside Rishabh Pant for a 28 runs partnership but got dismissed before lunch. Kohli was dismissed by Pat Cummins. Mohammad Shami, too departed for a duck in the final over before the break. Pant (36) and Jasprit Bumrah (4) departed in the form of ninth and 10th wicket, respectively.